With a number of available sizes and configurations, youre sure to love one of these all-aluminum Legend Contender straight loads offering the legendary strength and durability of a Jamco. 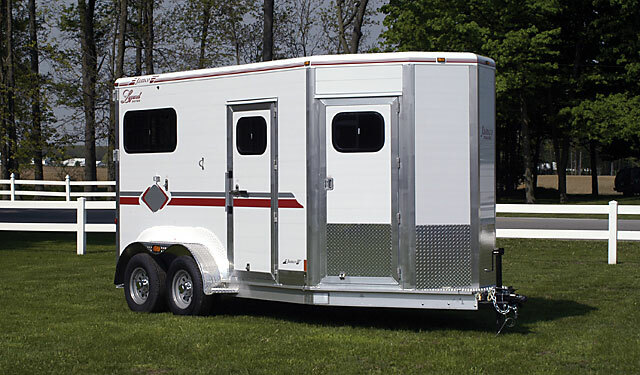 Built with Jamcos patented double-thick interlocking plank walls on the lower half and Legend light-wall interlocking planks on the upper half, the Legend Contender offers you and your horses unequaled protection and durability. All Legend Contenders are semi-custom, allowing for specific selection and placement of many options, and carry a five year frame warranty and ten year pro-rated warranty on plank walls.